Perfa-Cure Concrete Curing Boxes - Gilson Co.
Lightweight Perfa-Cure Curing Boxes provide storage and protection for concrete test specimens on the job site to meet required initial curing conditions. Users plug in the unit and set the thermostat to the desired temperature. 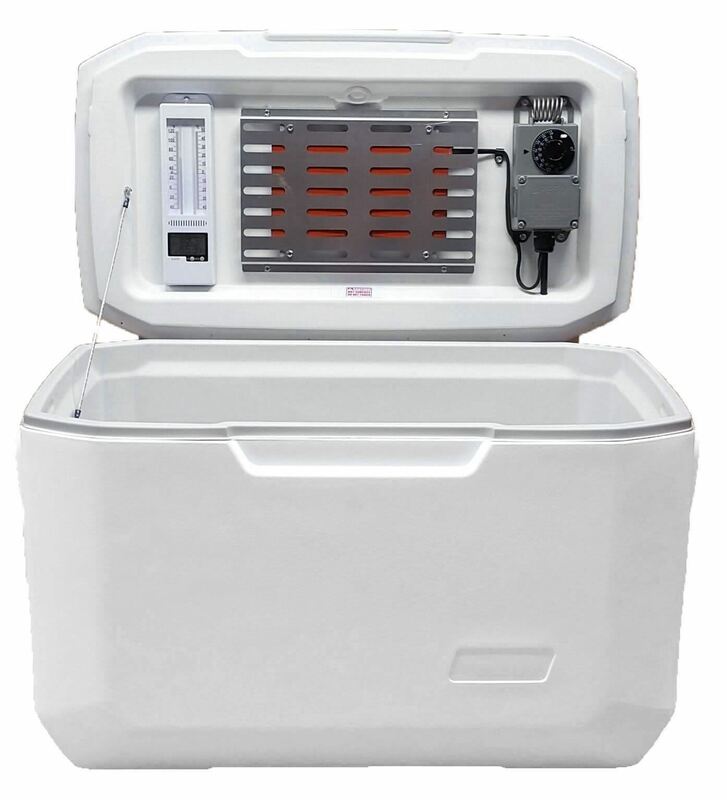 The curing boxes are designed to maintain a temperature of 73°F (22°C). Models are available with heating or with both heating and cooling functions. The heating panel uses a safe, aluminum base to radiate heat. 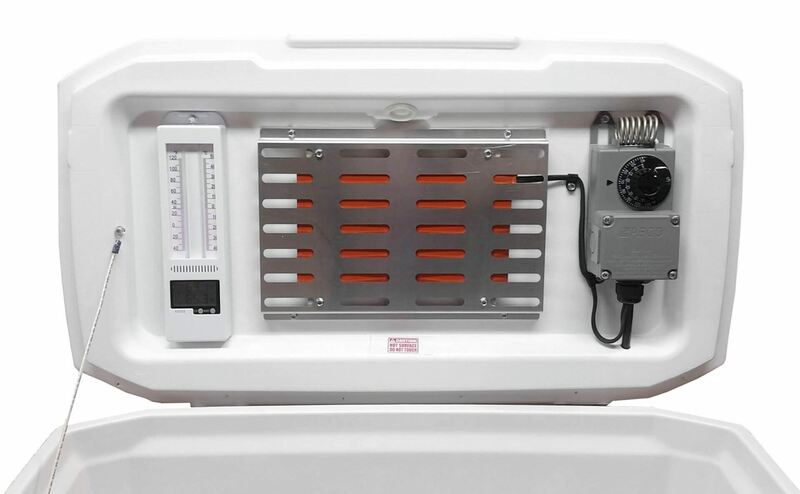 Models with cooling functionality feature a blower fan to circulate cool air inside the box and automatically switch from heating to cooling based on conditions. The green indicator light illuminates when the unit is in operation. Models are compliant with current ASTM C31/31M and AASHTO T 23 specifications for initial curing of concrete test specimens in the field. Robust carrying handles on each end make transporting empty units easy. The Heater Panel and AC Cooling Units on the inner lid are easily replaceable. A max-min registering thermometer is mounted inside the box to monitor curing conditions. Perfa-Cure boxes operate on 110V/60Hz electrical supply. HM-491 Perfa-Cure provides heat-only and accommodates up to twelve 6x12in (152x305mm) cylinders or thirty-three 4x8in (102x203mm) cylinders. HM-495 Perfa-Cure Plus features both heating and cooling functionality and accepts ten 6x12in (152x305mm) or thirty-two 4x8in (102x203mm) concrete cylinders. HM-493 Perfa-Cure Mini is heat-only and holds four 6x12in (152x305mm) cylinders or twelve 4x8in (102x203mm) cylinders.